The old adage about the pen being mightier than the sword certainly still holds some weight, but modern journalists need a lot more in their arsenal if they want to keep up with the fast-paced digital world of journalism in the 21st century. The days in which writers only had to focus on writing are far behind us, as today’s journalists need to wear several different hats in order to get the job done. Jeff Sharon has worked in the industry for over a decade as a video journalist and producer, as an anchor and reporter for Northeast Georgia former CBS affiliate WNEG-TV and as a producer for the University of Central Florida’s weekly sports magazine and highlight show; he currently serves as a Course Director for the Digital News Production and New Media Publishing & Distribution courses in Full Sail University’s New Media Journalism Master’s program. Drawing from his experience working in the forefront of individual media production, Jeff shares the five non-writing skills that every writer needs. The best way to learn how to use these programs is to put them to practical use. 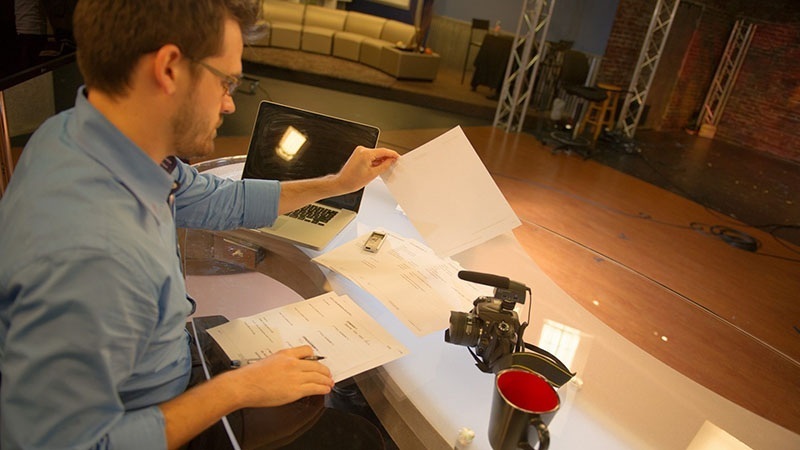 Ideally, learning environments that provide hands-on experience – such as those found in Full Sail’s New Media Journalism Master’s program – are a great way to explore the actual software, as well as gain an understanding about how to use these tools within the context of new media journalism. For those who are just looking to scratch the surface, tutorials on sites like YouTube and Lynda.com can provide quick and basic guidance as well. Having a well-written article will help keep readers’ attention when they land on an article, but it’s crucial for journalists to do all they can to ensure that their work finds an audience in the crowded landscape of online content. Enter search engine optimization (SEO), which refers to the behind-the-scenes system that helps articles and links appear in the user’s search engine results. There’s a common misconception that writing with SEO in mind automatically means that a writer must sacrifice the quality and nuance of their writing, but the truth is that an article can seamlessly appeal to the concerns of your editor and your marketing manager. Knowing how to appropriately tag your posts with the proper keywords and craft well-written but search-friendly titles for both the article and page can greatly improve how many hits a page gets – and without sacrificing the quality of the content, either. Social networks such as Twitter, Facebook, and LinkedIn have all become primary avenues for people to find their news. Writing with these platforms in mind can help writers ensure that their work finds an audience, utilizing tools such as hashtags and cross-promotion of similar writers/news sources via retweets and shares. 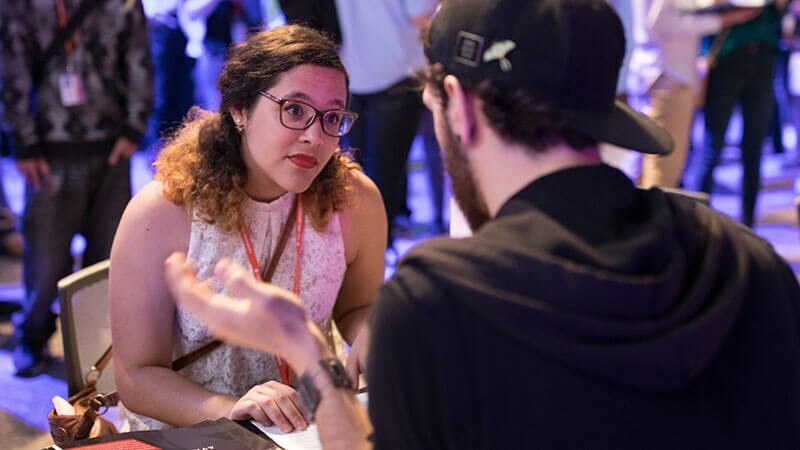 Operating in this paradigm has made it essential for writers to build a personal brand via these social networks, which is why Full Sail’s New Media Journalism Master’s program has made such concepts a main focus in their curriculum. These outlets don’t just serve as a centralized hub to showcase a writer’s work, but also enables them to with yet another way to regularly connect with readers and build a dedicated audience. Keeping headlines catchy definitely helps motivate readers to click, as does the use of the right featured image that will show as a picture in social media news feeds. The pairing of words and photos is certainly nothing new in journalism, but the tools available at writers’ fingertips have opened up a whole new world of opportunities to engage with readers and complement the story. Being able to create photo collages, info graphics, and text-enhanced pictures not only enriches the reader’s experience, but also can boost search rankings. Applications such as Apple’s Photos and websites like Flickr and Photobucket can give writers an easy way to enhance their original photos – and most of these programs are free. Sharon also notes that even social media networks like Instagram have gotten better over time, allowing journalists to do some serious photo editing on their mobile phones. Today’s writer has a wealth of sources to choose from when conducting research for their work – what’s most important is putting the proper amount of time and care into this step of the process, and ensuring that accuracy – and by proxy, credibility – is upheld to the highest degree. Full Sail University’s New Media Journalism Master’s program teaches the skills necessary for journalists to thrive in the 21st century, providing them with an understanding of the fundamental principles of the industry, as well as current digital media production practices, to help them effectively connect with a worldwide audience. To learn more, click here.